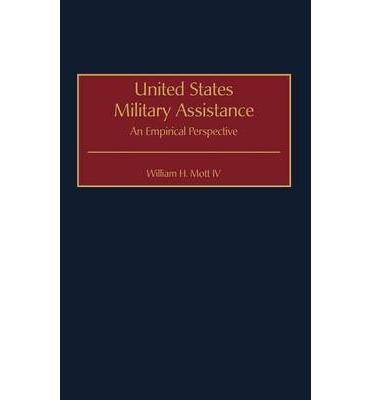 This interdisciplinary study examines the relationships between the provision of military assistance and success in achieving donor aims in history and theory, based upon an initial proposition that the relationship between donor and recipient is a critical determinant of success or failure. Mott builds upon his previous research of general historical and Soviet case studies which focuses on four initial features of the wartime donor-recipient relationship: convergence of aims; donor control, commitment of donor military forces, and coherence of donor policies and strategies. To this foundation, he adds additional variables, recipient success, and regional efforts. The study presents a pattern for policy development and theoretical analysis in which military assistance is a viable, robust policy option and bilateral relationship with clear set of requirements, features, processes, and predictable results. Mott's primary methodology is the search for uniformities across historical observations through low-level, ordinary, multivariate regressions. He examines a set of 25 discrete and significant U.S. donor-recipient relationships, and analyzes the features of wartime and Soviet relationships in each. Each chapter focuses on U.S. military assistance in a region and refines the relevant features of the observed relationships into a common profile for comparison with other regions. Mott's conclusions about the donor-recipient relationship narrow the gap between economics, political science, and military strategy; link history and theory to policy; and offer new insights into a complex feature of international relationships and foreign policy.